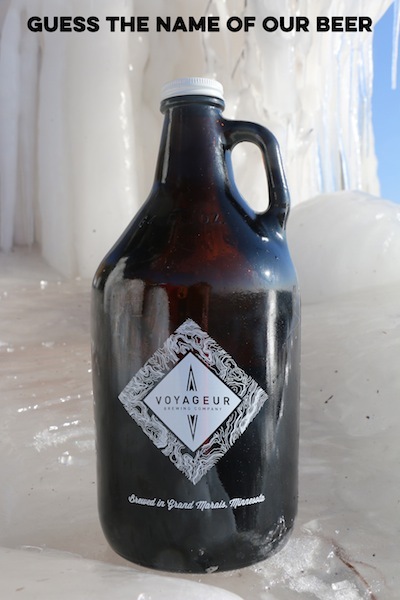 I know many of you have been following along with the Voyageur Brewing Company adventure. We’re getting closer to opening and we couldn’t be more excited. We want to share that enthusiasm with you and invite you to take part in a fun contest we’re having. I’m posting hints to what one of our beer names is going to be on the Voyageur Brewing Company Facebook page. I’ll be doing this for each of the four beers we hope to have ready by opener. The first person to correctly guess the beer name will win a growler filled with that type of beer. I’ve been having some technical difficulty with the link, if the above links do not work then you can try this one. Or just find the Featured App on the Facebook page. You can visit our website and sign up to receive our email newsletter if you’d like too. Who knows, maybe you will guess a name we’ll end up using for a future beer!